A team from Greenpeace East Asia’s Detox campaign recently discovered an unsettling sight off the coast of South Eastern China. 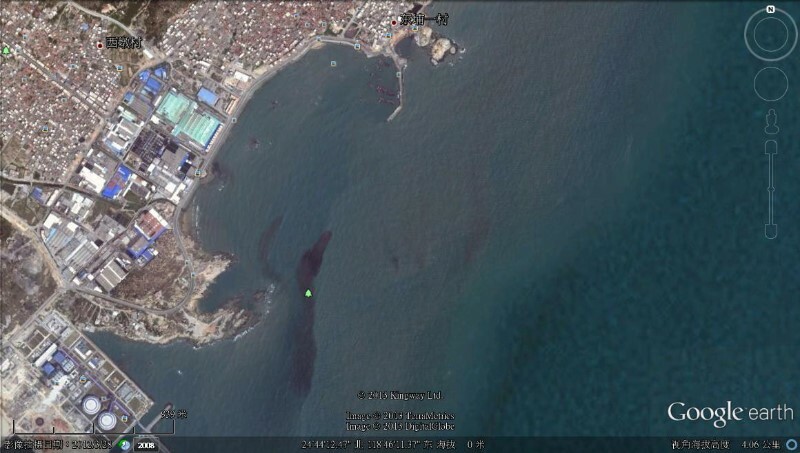 Next to the city of Shishi, a centre for children’s clothing production, they discovered a huge black plume of wastewater around the size of 50 Olympic swimming pools on the sea’s surface; a large dark scar on the water easily visible via satellite imagery. Further research indicated that this plume was coming out of a discharge pipe from the Wubao Dyeing Industrial zone and more specifically, the Haitian Environmental Engineering Co. Ltd wastewater treatment plant which serves 19 of Shishi’s textile dyeing facilities. Following this discovery, Greenpeace activists collected and tested discharge water coming from two of the facilities at the Wubao zone towards the wastewater plant for treatment. The findings were released in a study entitled A Little Story About a Monstrous Mess II. 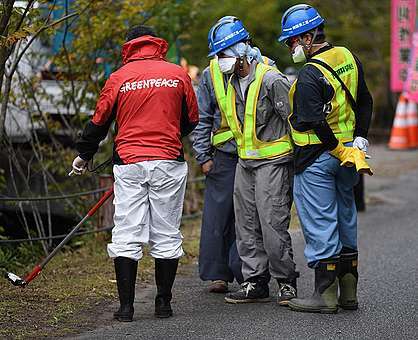 The tests revealed the presence of a range of hazardous chemicals such as the hormone disruptor nonylphenol (NP), chlorinated anilines and antimony in the wastewaters. Despite our attempts to sample the outfall into the sea, it was not possible to access the discharge point underwater. The toxic water pollution scandal uncovered at Wubao, Shishi is just the tip of the iceberg. In China alone there are 435 discharge points like the one serving Wubao, spanning the coast and releasing 32.2 billion tons of wastewater into the sea each year. In 2012, a staggering 68% of them had records for illegal discharge while 25% had never met national environmental standards, according to official data from China’s state Ocean Administration. The use of hazardous chemicals during the manufacture of children’s clothing poses a large-scale problem in China and around the world. 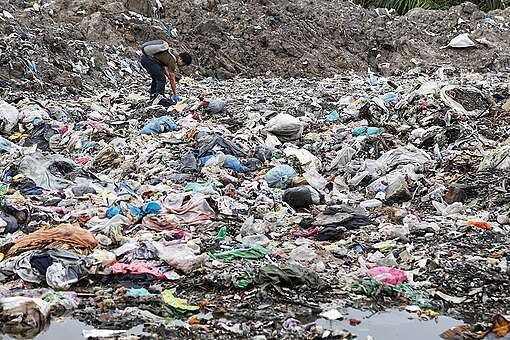 Not only is it leading to environmental pollution locally, as seen from the discharges in Wubao, residues of these substances can also be found amongst the millions of products, sold and exported across China and to countries all over the planet from textile towns such as Shishi and Zhili. For example, 70 – 80% of products produced in Shishi are exported to countries in the Middle East, Europe, North America, Southeast Asia and Africa. The continued use of hazardous chemicals such as these, not just in clothes but also in children’s toys and other products, will inevitably lead to increased levels being released into the environment either at the site of production or from various other sources. This can include domestic washing machines or even from some products into the air. Given the scale of manufacture in the textile industry, the use of these chemicals, even at low levels, can lead to considerable amounts ending up in our environment, increasing children’s exposure to these hazardous substances and heightening the potential health risks they pose. Compared to adults, children can be more sensitive to some effects of certain hazardous chemicals. Some chemicals have the ability to interfere with children’s normal hormone functions and affect the development of the reproductive system, immune system or nervous system. The findings at Zhili and Shishi are just a snapshot of a much larger problem within China’s textile industry. In China today there is no adequate regulation to strictly oversee the use of hazardous substances used at the hundreds of production sites such as Shishi. This chemical management regulation is critical to ensuring that hazardous chemicals are no longer used to manufacture clothing and other textiles for children or adults. Greenpeace is calling on the Chinese government to enforce a crucial new piece of policy that requires factories that use and discharge hazardous chemicals to register and disclose to the public the release and transfer information of hazardous chemicals. In some places like Mexico and Taiwan crucial first steps are being taken towards critical chemical regulation and showing that it can and should be done. Government regulation has a key role to play but the textile industry also needs to act with urgency. Greenpeace’s global Detox campaign is calling on major brands to take action now towards this shared goal of a toxic-free future. 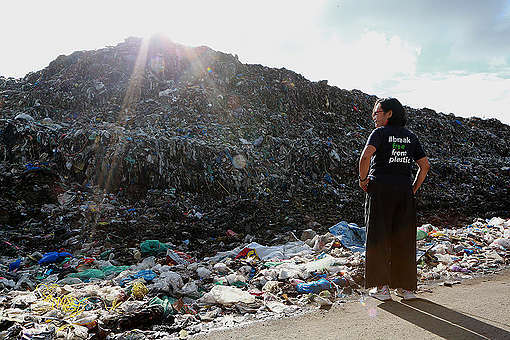 Thanks to global people power well-known brands like Zara and Mango are already taking landmark steps towards supply chain transparency – ensuring factories reveal discharge information publicly – and towards elimination of all hazardous chemicals. However, there is still more work to do. Following on from its report on Chinese textiles, Greenpeace East Asia’s most recent study revealed a range of potentially hazardous chemicals in children’s clothes made by leading international clothing brands such as Burberry, Disney and Adidas. While their competitors take credible steps to come clean these brands continue to lag behind. Watch the Detox video: Watch, Like, and Share this Detox video that shows how people power is cleaning up the fashion industry.